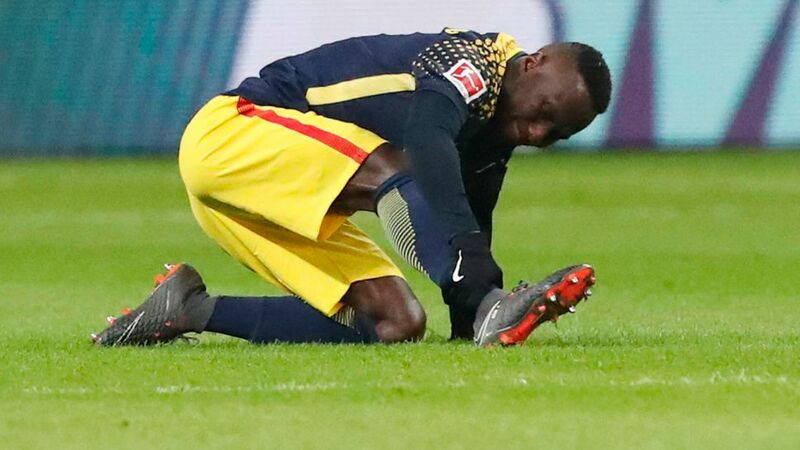 RB Leipzig look set to be without both Naby Keita and Willi Orban for a time after the duo picked up injuries in the team's 2-1 loss away to Eintracht Frankfurt on Monday. Keita was replaced by Emil Forsberg in the 61st minute after staying on the ground following a challenge and signalling to the bench that he needed treatment. On Tuesday he was diagnosed with a hamstring tear in his right leg, although the club have not confirmed how long he will be sidelined, saying only that it is "unclear". "Naby Keita tore a muscle in his right thigh. Will Orban sustained a deep cut on his knee and had to receive stitches. It is unclear how long both will be out for." Centre-back Willi Orban is also doubtful after receiving a deep cut to his knee from Frankfurt striker Sebastien Haller's boot in an accidental collision, although he was able to keep playing until the final whistle. The duo's injuries are a big blow to Ralph Hasenhüttl's men, who host Italian Serie A side Napoli in the UEFA Europa League in the return fixture of their round of 32 tie, holding a 3-1 advantage from the first leg, before playing Cologne on Matchday 24 on Sunday.